Russel Street in Chowringhee in Calcutta. Behind Bengal Club on Chowringhee Road, Russel Street runs north-south between Park Street and Middleton Street. The Street was named after Sir Henry Russel, Chief Justice of the Supreme Court from 1806-1813. 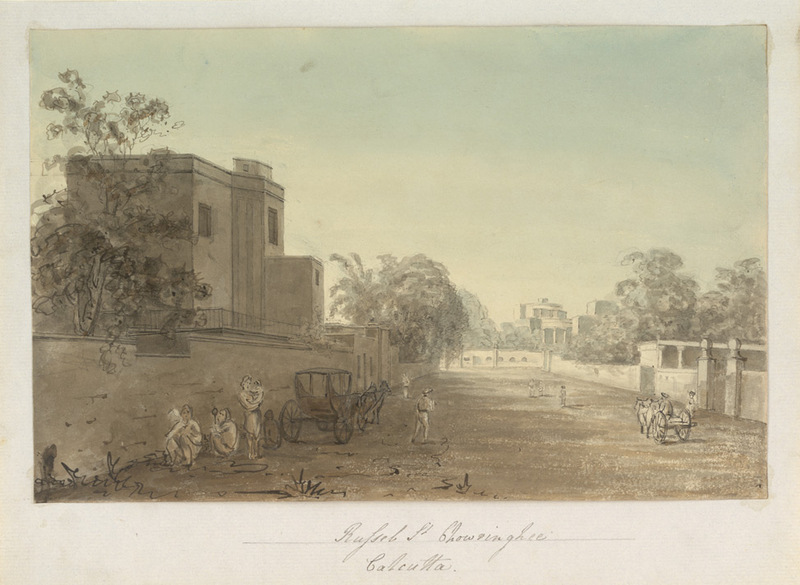 Watercolour with pen and ink, dated 1828, by Marianne Jane James, the wife of the third Bishop of Calcutta. This entry was posted in New Township, Roads & Streets and tagged calcutta streets, chowringhee, chowringhee road, Henry Russel, Marianne Jane James, pen and ink, Russel Street, watercolour.